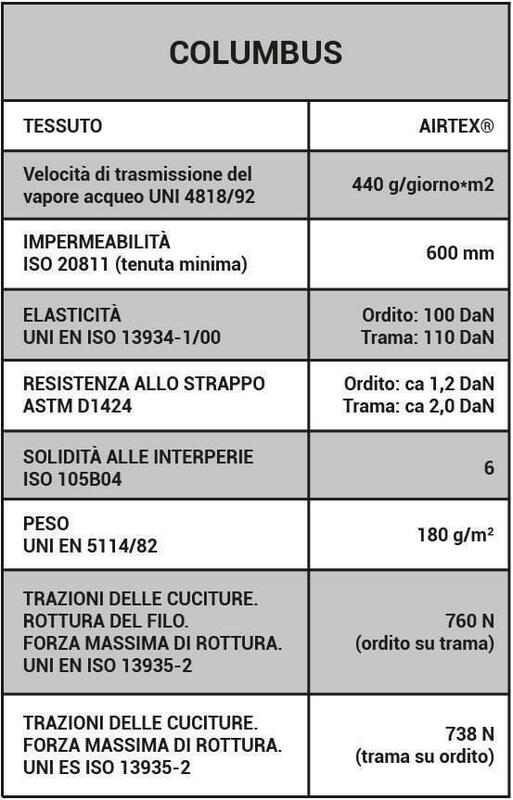 Technical features of the fabrics in the Autohome range of Roof Tents. A very good fabric cannot be just waterproof (it would be unsuitable as a camping fabric), one of its’ main properties must be breathability: Each square centimetre of fabric shall contribute to the natural change of air. This characteristic allows to obtain a real weel-being condition that can only be assured by high transpiration and speed in water vapour transferring. This basic principle should be adhered to, especially in environments with small volumes of air, (such as a tent) to prevent condensation forming, and therefore, a heat reduction occurring within. By allowing a natural through flow of air, containing moisture, generated by the occupants of the tent maximum comfort can be achieved. 1. 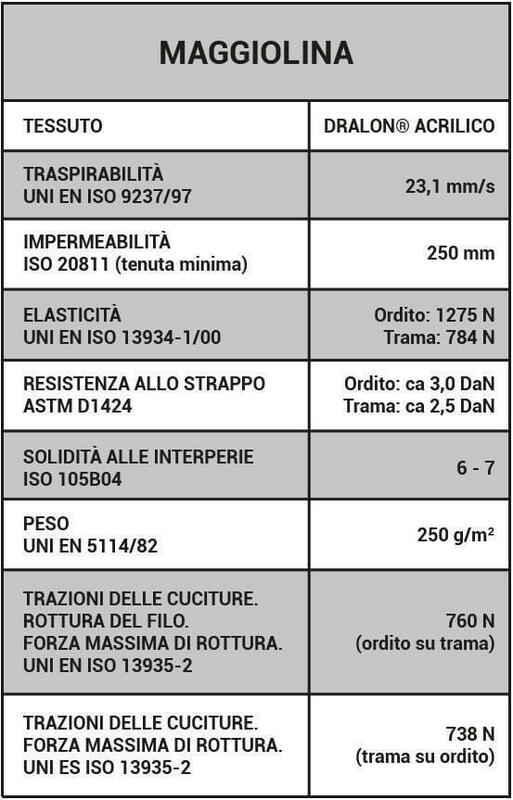 The ratio between impermeability (maximum column of water the fabric is resistant to, according to ISO 811) and breathability (air permeability according to ISO 9237), calculated with reference to dimensions and inner volumes of the tents (habitable area) and area (in square metres) of the textile surface: basic criteria for a healthy environment. 2. Specific purpose of the fabric: for example the tents roof or side walls, including stresses and movement the fabrics are subject to as well as weather and climatic influences. 4. Colour Stability (ISO 105B04) taking into consideration weather and climatic conditions, including the reaction of a combination of fabrics and threads. 5. Light Resistance (ISO 105B02) effectiveness against direct sunlight and artificial lighting. 6. 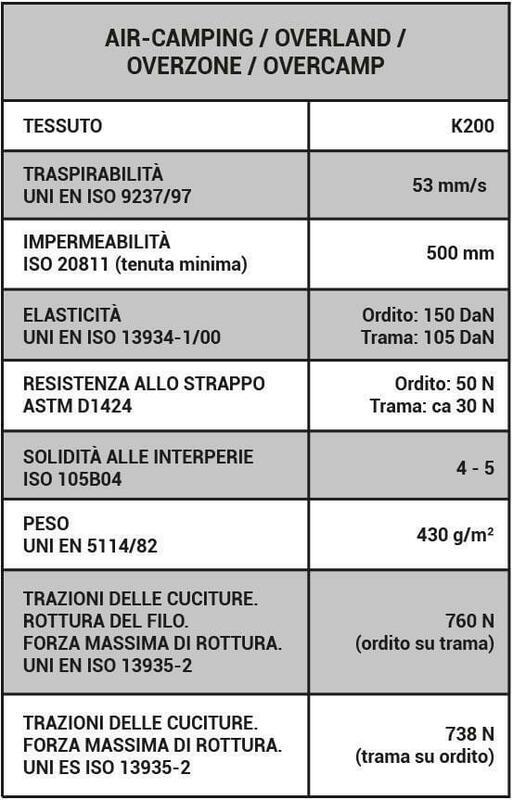 Weight (ISO 3801) of fabric for suitable waterproofing, not forgetting the tents weight/volume ratio when folded for transport or erection. 7. Cleaning and Maintenance: including resistance to dirt and mildew.